An Irish gentleman flees his home after shooting a romantic rival in a duel, which sends him on a series of successes and failures that shape the whole of his life. The things some people are willing to do for money and status. 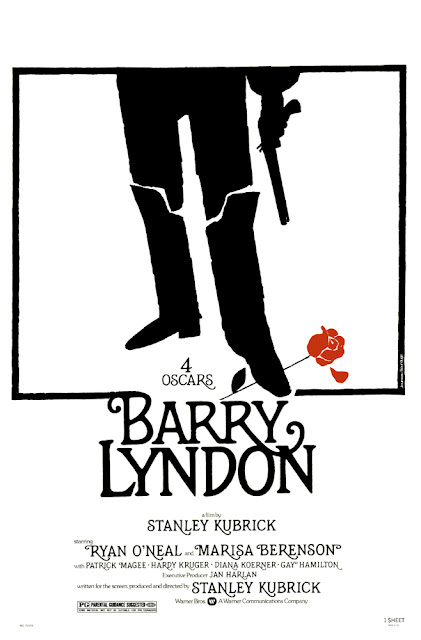 "Barry Lyndon" is written and directed by the legendary Stanley Kubrick, who is known for a great many films, including the hilarious "Dr. Strangelove or How I Learned to Stop Worrying and Love the Bomb," the technically-groundbreaking "2001: A Space Odyssey," and the controversial "A Clockwork Orange." It is based on the novel "The Luck of Barry Lyndon" by William Makepeace Thackeray. The story revolves around the life of an Irishman named Redmond Barry (Ryan O'Neal). As a young man, Barry falls in love with his cousin Nora Brady (Gay Hamilton), who may be the first woman to show him any kind of intimate physical affection. When Nora is courted by and agrees to marry a soldier named Capt. John Quinn (Leonard Rossiter), Redmond challenges him to a duel. When he shoots Capt. Quinn, Redmond is told to flee to Dublin or face legal consequences. From there, his life is sent on a series of adventures through military service, companionship with a shady con artist, and eventually to the British aristocracy where he marries Lady Honoria Lyndon (Marisa Berenson) and dons the name Barry Lyndon. If nothing else, you can always count on Stanley Kubrick to make visually striking pieces of cinema, and "Barry Lyndon" is more proof of that fact. This film boasts fabulous, awe-inspiring art direction and gorgeous costume work, hair, makeup, and cinematography. It is a beautiful film to look at, almost like a painting come to life. It bears the signature Kubrickian length, clocking in at a cool 185-minute runtime. Period piece films can often be very stodgy and stuffy, and when coupled with Kubrick's more methodically paced storytelling, we were worried this would be a daunting watch. Luckily, "Barry Lyndon" isn't stuffy at all, in fact, quite the opposite. It moves quite well along its runtime, and we never once felt bored while watching it. We remained totally enthralled by its narrative as the story of Barry Lyndon's transformation is an intriguing character study of a flawed man. Redman Barry evolves in an unexpected way that is counter-intuitive to what we would typically experience in cinema. Usually, a filmmaker would try to get the audience to grow more attached to a character as the story moves on, but Barry becomes less likable the deeper we get into the movie. He starts out as a charming, somewhat innocent lad who is madly in love, and we root for him to find the happiness he so desires. Barry is hit with a string of bad luck, and we feel empathy for him, but those emotions quickly disappear as Barry begins exploiting and eventually abusing the people around him. Upon gaining wealth and status, he becomes a rather insufferable cuss, but he sure as hell knows how to survive in life. There is hardly a character here that isn't flawed in some way. 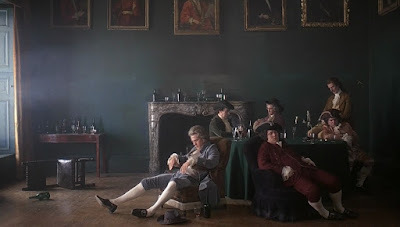 Almost everyone in "Barry Lyndon" has both admirable and despicable qualities, which is part of the reason we liked this film so much. It's not your typical happy-go-lucky story, and we appreciate Kubrick for making something unexpected. 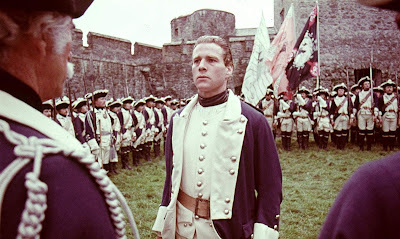 In the end, we have many mixed emotions about how "Barry Lyndon" plays out because of some characters who do awful things, but we were ultimately satisfied with its conclusion. Seeing it end any other way would have left us disappointed. It may seem like a big undertaking to watch a movie like this, but we wholeheartedly agree that it's worth your time. It is one of Kubrick's better films. Saw this in college in 1975 with great expectations....both I and my companion were bored to tears. Saw it about ten or twenty years ago and enjoyed it much more....i wouldn't recommend it to just anyone. Isn't it interesting how time changes our perception and thoughts on things so radically? We felt the same way about Oscar winner "Ordinary People." It was drab, dull, and lifeless. Many years later after we went through a great many trials and tribulations, we "got it," and we appreciated it so much more! Definitely agree that "Barry Lyndon" isn't for everyone, though!